Mrs. Gladys Annie Wehunt, age 83, of Cleveland, peacefully passed away at her residence on June 23, 2018. 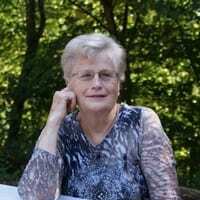 She was born on March 22, 1935 at her home in Union County to the late Arch and Julia Wilkins Seabolt, living in Union and Lumpkin County before moving to Cleveland. For years, she was an Inspector at the Talon zipper plant in Cleveland. Mrs. Gladys loved gardening, traveling, and most of all her family and friends. She was of the Baptist faith. In addition to her parents, she is preceded in death by her Husbands Jack Winkler and Payton (P.J) Wehunt as well as her Brother J.D Seabolt. Survivors include her Daughters Jackie (Ricky) Underwood of Cleveland, Sandy (David) Sorrow of Dahlonega, Marie (Clinton) Waters of Dahlonega, Cunnie (Judd) Grizzle of Dahlonega, her Step-Son Jimmy (Janie) Wehunt of McDonough, her Grandson Clint Waters, her Sisters Linda (Ronald) Connery of Altamonte Springs, FL, Callie Copelan of Mt. Airy, Thelma (Jerry) Lance of Cleveland, Hilda Fain of Helen, and her Brother Fletcher (Frances) Seabolt of Hartwell. She is also survived by a number of nieces and nephews. The Family of Mrs. Wehunt would like to thank Hospice of Northeast Georgia Medical Center for their compassion and attentive care during her time of illness. Funeral services are scheduled for 11:00AM Tuesday, June 26, 2018 at the Chapel of Barrett Funeral Home with interment following at Yonah View Memorial Gardens. The family will receive friends at the funeral home on Monday, June 25, 2018 from 4:00PM until 8:00PM. In lieu of flowers please consider donations to The White County Senior Center, 1239 Helen Hwy. Cleveland, Ga 30528.